« How do you COMPROMISE excellence? Nothing like hands on experience. I am really glad I didn’t learn about stunt flying as a youth. I am sure I would have become a barnstormer. My instructor was a former member of the Canadian Royal Air Force’s aerobatic team called the Snowbirds. Wow! A hands-on pilot with skills developed at every level of flight difficulty from trainers to supersonic jets. What a great instructor who learned his skills from the bottom up. Hands on construction to potato skins! The reason I am writing this, soon-to-be finished book, is that I have learned business in a similar way. It was all hands-on management with strict requirements for results and excellence as the standard. I wasn’t privileged with a business school education. I worked my way up from catching lumber on the line in a sawmill to the board room (pun intended). My experience is real, not theoretical. Like my instructor I flew supersonic, when Friday’s led the restaurant industry and at Boise Cascade in my early 30’s. I was jet qualified. People and their development have always been at the heart of any success I have experienced. I am blessed with a problem solving and teaching skill that I explain in the book. During the frontier years of the casual theme restaurant industry my theories, philosophies and business systems were widely adopted throughout the industry. My metaphors are legendary. Bounties were paid for our managers (complete with manuals and forms) so that our competitors could acquire these useful tools. I have now taken a long look at the accumulated knowledge over the years and with clear hindsight have put together a helpful set of tools and insights about more than business but about life as well. I have also been actively counseling and interviewing a broad cross section of college students, small business owners and CEO’s. I have studied today’s issues with education and the modern work force. It amazes me how, in the midst of so much change, so much remains the same. Read my book. 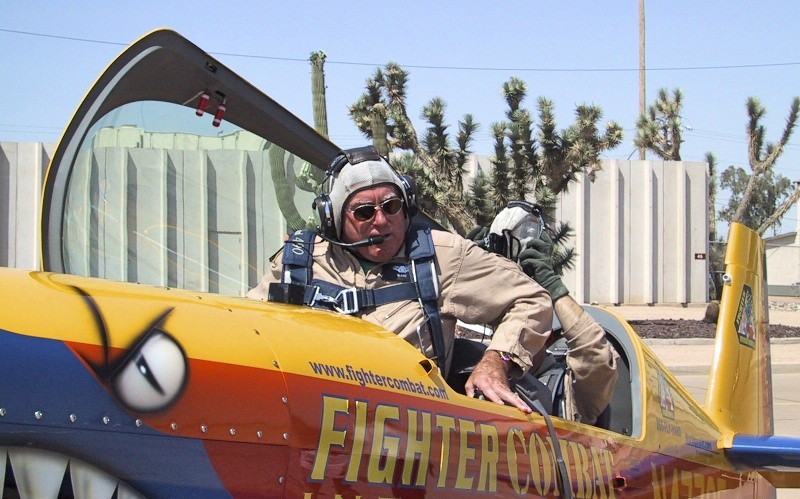 My experience can help you just as the flight instructor above taught me some pretty amazing stunts. This entry was posted on January 30, 2013, 3:30 pm and is filed under Uncategorized. You can follow any responses to this entry through RSS 2.0. You can leave a response, or trackback from your own site.